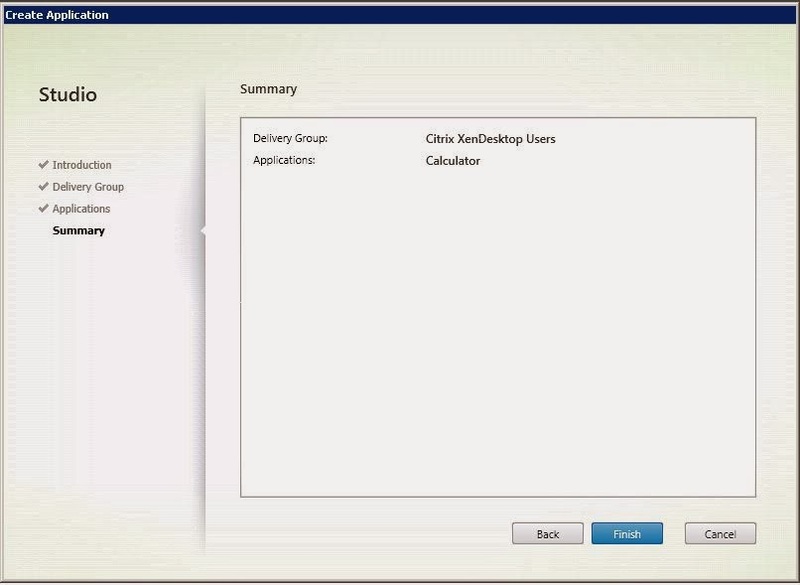 In this blog I will handle the application publishing that is offered with Citrix XenDesktop 7.1 App edition soon to be calle XenApp 7.x. As I assume the functionality regarding this will not change dramatically I think this blog is useful also in the future. The Citrix XenDesktop 7.x console provides the ability to publish desktops and or applications. 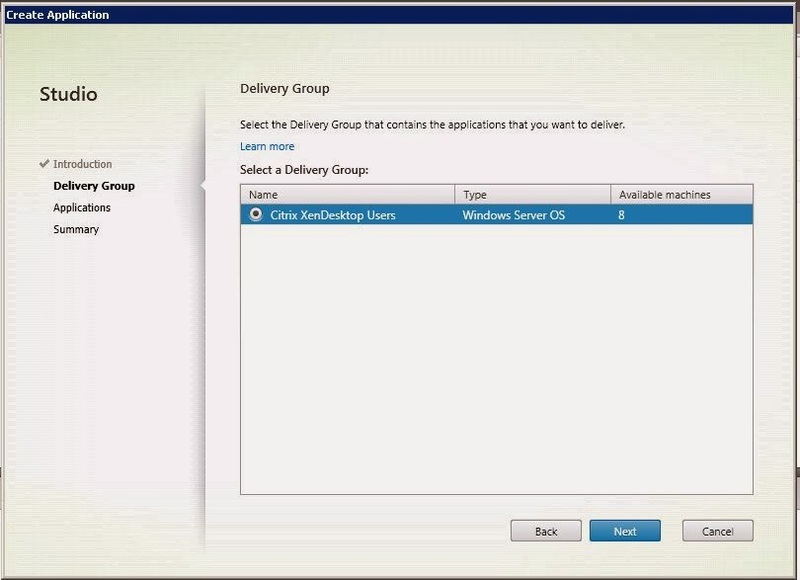 Per desktop group you will set whether you want to publish either one or both. 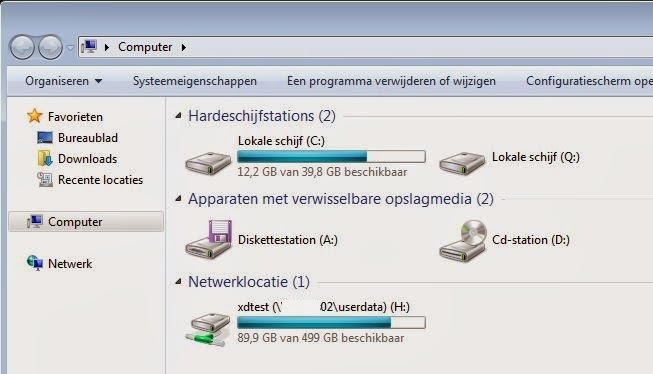 From within the Desktop group console view you will see the different tabs. 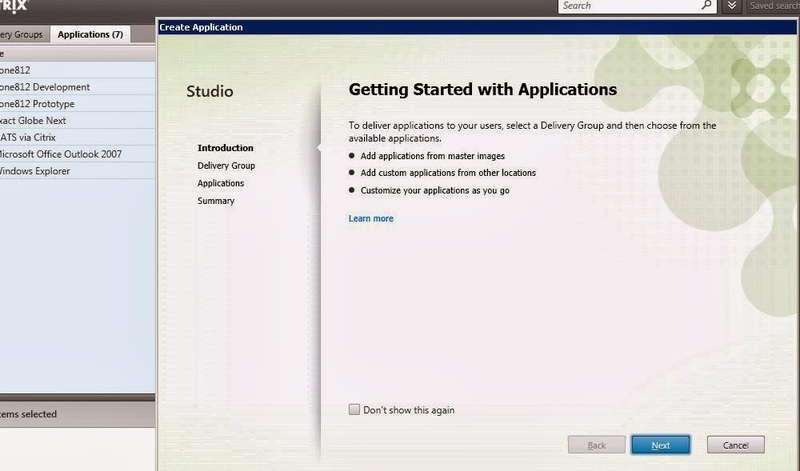 After you clicked the application tab you will see the “Create application” in the menu bar at the far right side of the screen. Clicking that the wizard as shown below is started. 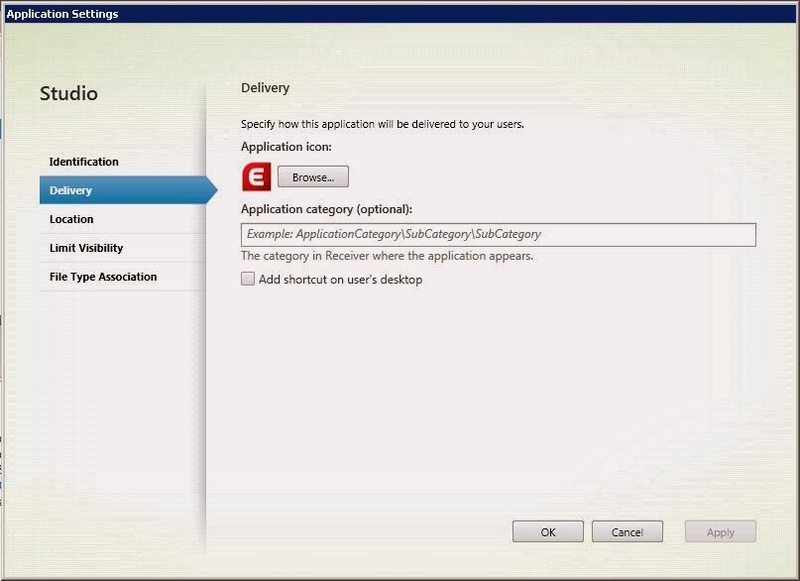 Next in the wizard you will have a choice of selecting the application that you want to publish. If you don’t see the application you want to publish you can click on “Add Application manually” and the pop-up shown below will appear. 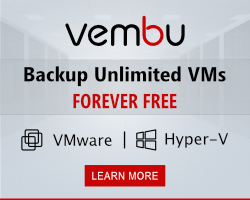 Here you can add your own application as it is installed on the target server. At the end the wizard is ready, through the wizard you can’t set that many properties. The wizard is pretty basic in that matter. After you finished the wizard you should select the properties of the application and will have more options to set than before. 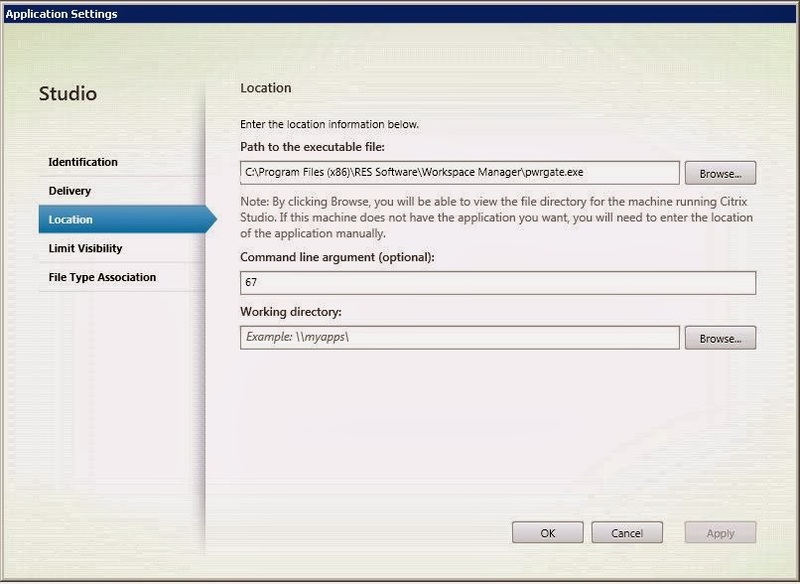 As you can see below you can set the application name as it will be seen by the user, also it is possible to have a different name for the administrators. 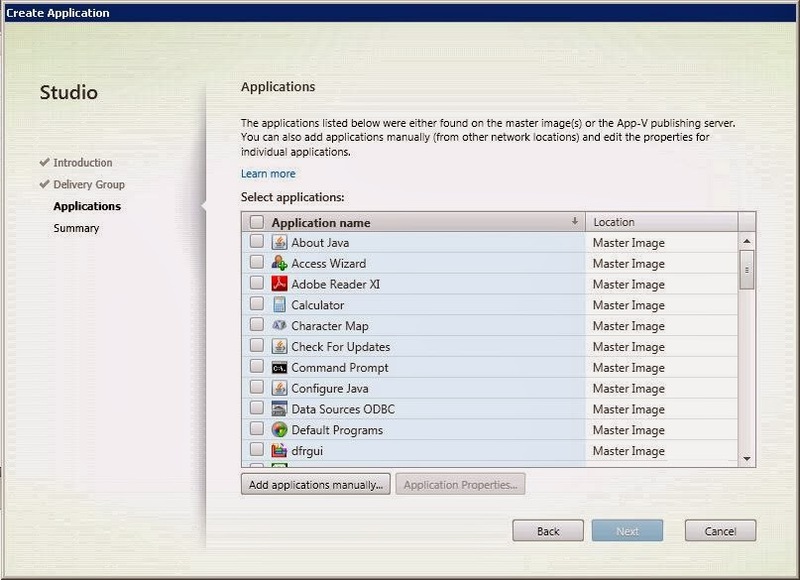 In the next screen you can select the icon that you want to use for the application and perhaps in which category you want to put the application. 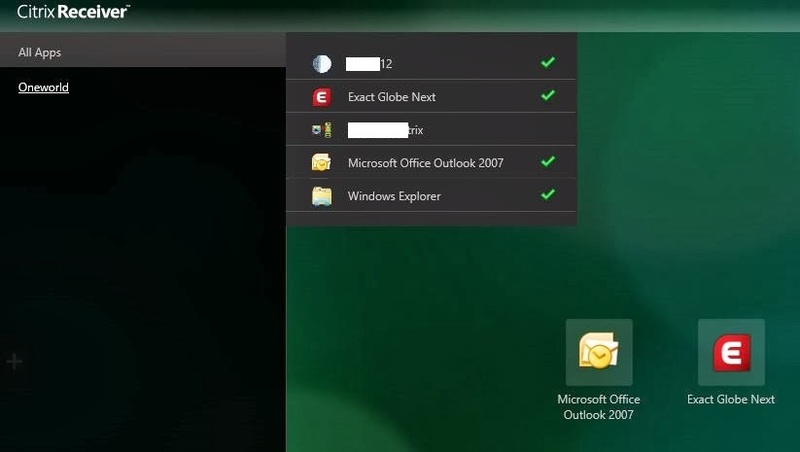 last option in this screen is whether you want a shortcut on the desktop. The path to the executable can be edited as well as the working directory and parameters. 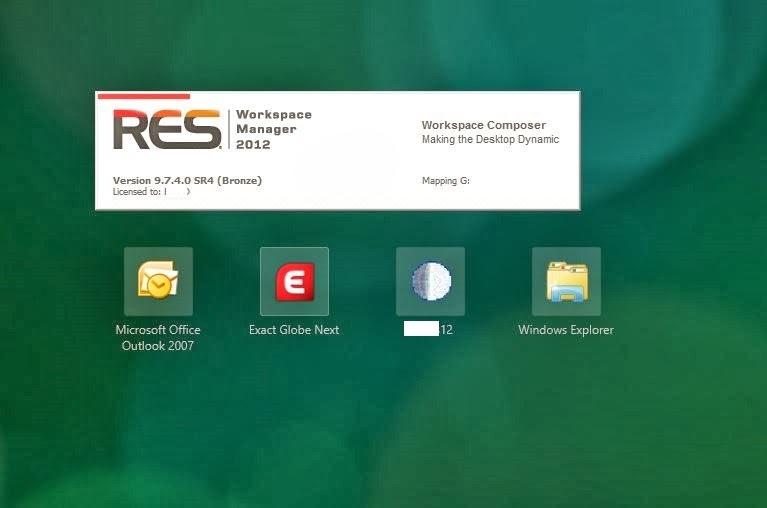 In the screen below I’ve been using RES Workspace Manager to start the application because I want settings to be saved and configuration to be handled fine. 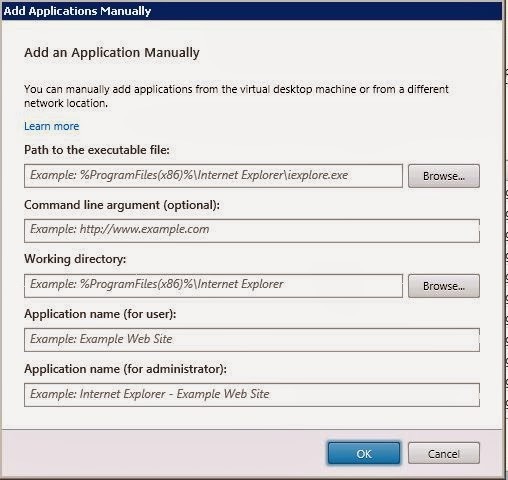 In a non-RESWM environment the path to the application executable and the executable would be entered here. For this environment I called the pwrgate.exe with the parameter 67, the ID of the application as published with RES Workspace manager. 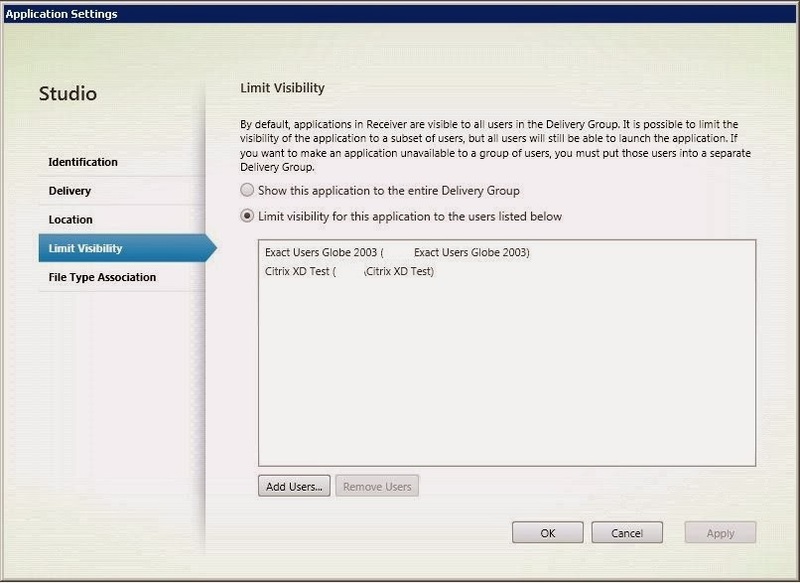 Next is the visibility of the application, here you can decide whether you want to show the application to the entire delivery group or limit the visibility to certain user/groups. 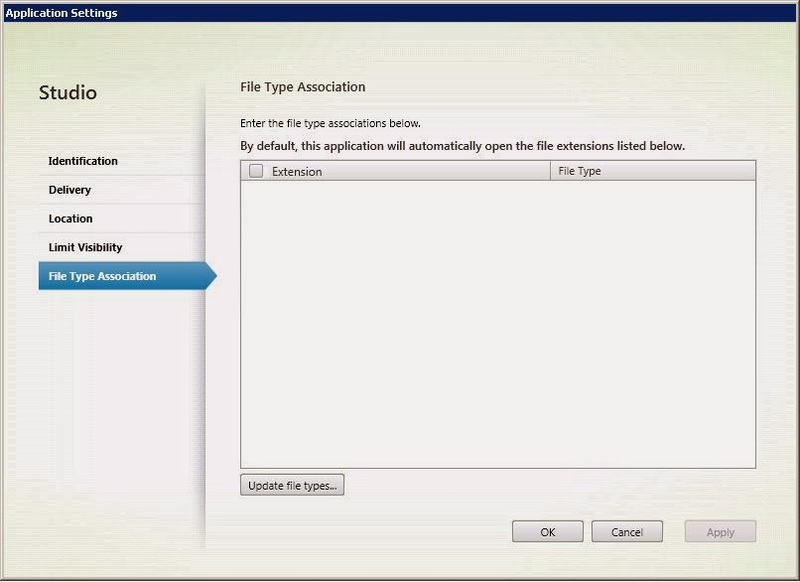 The last screen offers possibilities to add file type associations, this will be useful so that the application is started when a user double clicks on a file on the desktop. 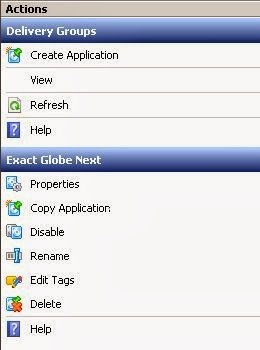 In the right side menu there are several menu options available, you can add tags, rename or disable the application. This is also where you enter the properties as seen before. In the lower part of the menu you will see some details of the application, the visibility is I think the most important part here. Also the application path and arguments are very helpful. The tab Sessions will show you how many users are currently using the application, this doesn’t work when you publish the Windows Explorer though. It’s a nice overview perhaps easy when you want to update the application and you wonder who you need to ask to log off. When we log on to the Storefront site we see that the applications are available under the Apps tab. Users can add these apps to their front screen if they want to. when you start an application you are presented with a Windows screen… have to look into this for this doesn’t look that pretty does it? 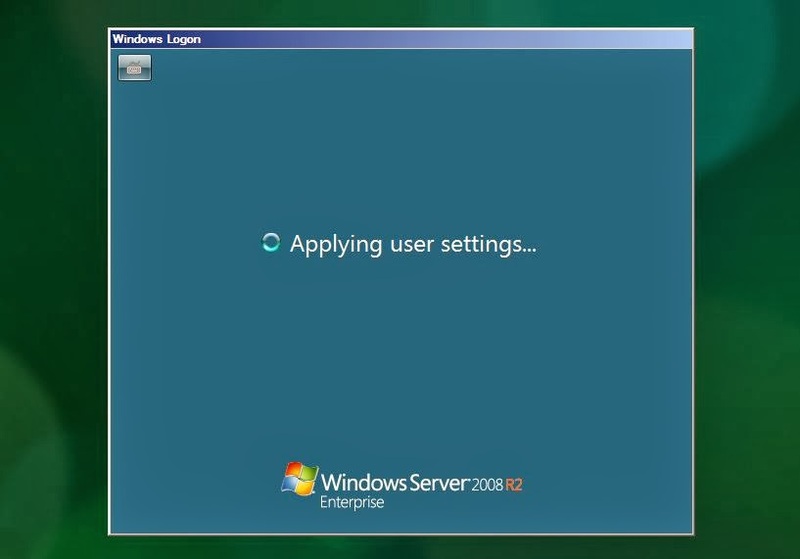 Next my RES Workspace Manager kicks in the set the configuration and bring back the user settings. 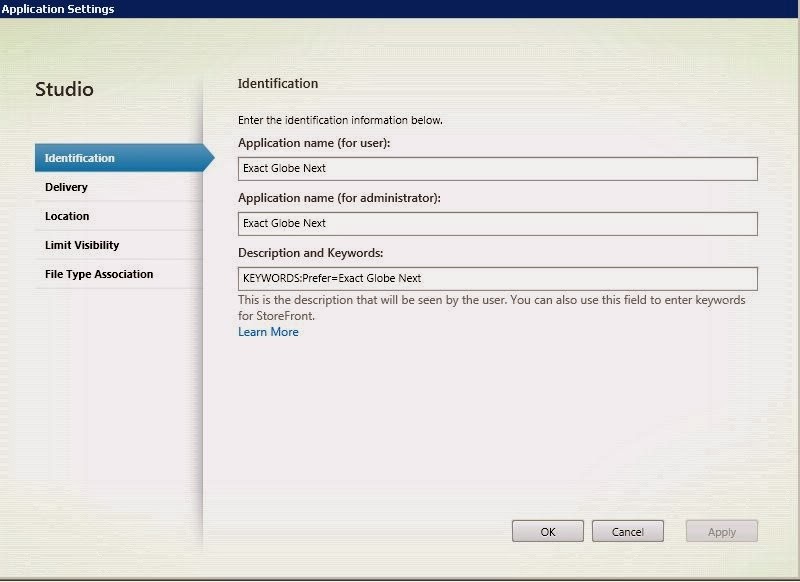 I hope you have a clear view of application publishing within Citrix XenDesktop 7.x App edition and the upcoming XenApp 7.5 version. It’s pretty straight forward and I hope that the forthcoming XenApp 7.5 release will not change that much, it works fine like it is.